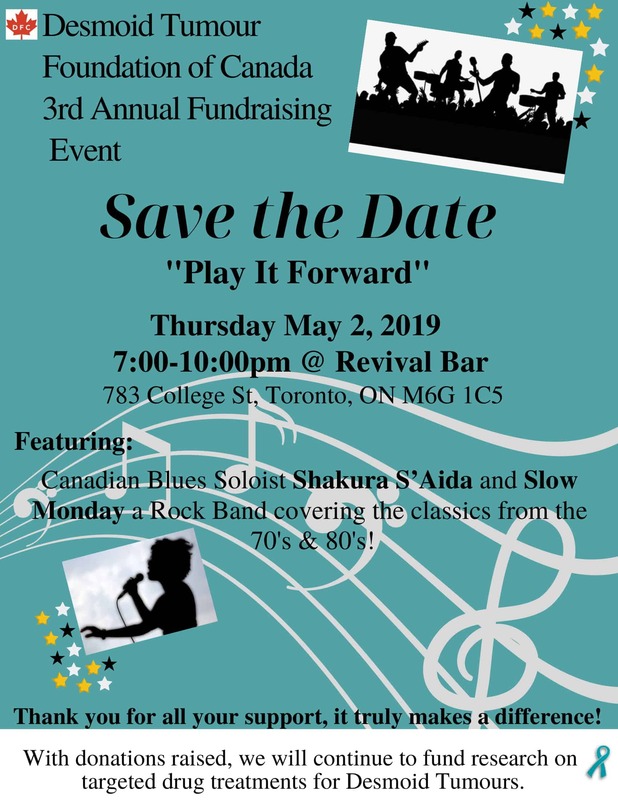 We are excited to announce that on MAY 2nd 2019, the DESMOID TUMOUR FOUNDATION OF CANADA will be hosting their 3rd ANNUAL FUNDRAISING EVENT! New to this year’s event, is live entertainment… in addition to great food, drinks and enticing auction prizes! Your support is needed more than ever this year. Research into this rare disease is advancing towards a cure, but third phase studies can only continue through with your ongoing generosity.